Fastfit Services brought to you by Fastlane Autocare is an around the clock response service, on hand and ready to help with rapid response times. We are on hand 24 hours a day, 7 days a week including Sundays and Bank Holidays. Regardless of the issue, you may be having with your vehicle, Fastlane Autocare can assist you. If you're looking for same day service or emergency roadside assistance including tyre fitting, battery fitting, diagnostics, recovery, and engine repair, look no further than at our Fast Fit service! Don't Panic! We're available 24 hours a day, 7 days a week for all your vehicle repairs. Making our 24-hour mobile mechanic service one of the best you will find in the North West area. Whether it is 6 PM Tuesday or 3 AM Sunday, we're here to help with all of your same day vehicle repair needs! We stock many vehicle parts including a large selection of tyres whatever time of the day or year. At Fastlane Autocare, we can supply and fit a range of batteries for your vehicle including cars, vans, caravans, motorhomes and trucks. We also stock a large selection of new tyres, as well as commercial vehicle parts including pulleys and even alternators. We offer a mobile mechanic service on a Sunday local to you. So no matter where you are in the North West you can rest assured that we are just a phone call away. So if it's the middle of the night or even first thing in the morning... Rest assured that here at Fastlane Autocare, we are here to get your vehicle back on the road! We have branches all over the North West. Each of our branches is equipped to deal with any repairs you may need for your vehicle. Our branches are ready to help get you moving again! We have branches in Stockport, Congleton, Trafford, Manchester, Liverpool, Southport, Runcorn, Atherton, Wirral, Chester, Lymm, Cheshire, Radcliffe, Helsby, Leyland, Oldham, Queensferry, Skelmersdale, Swinton, Trafford, Walkden, Deeside, Middleton, Warrington, Denton, Hale, Chorley, Bury, Bolton, Warrington, Wigan and Widnes. 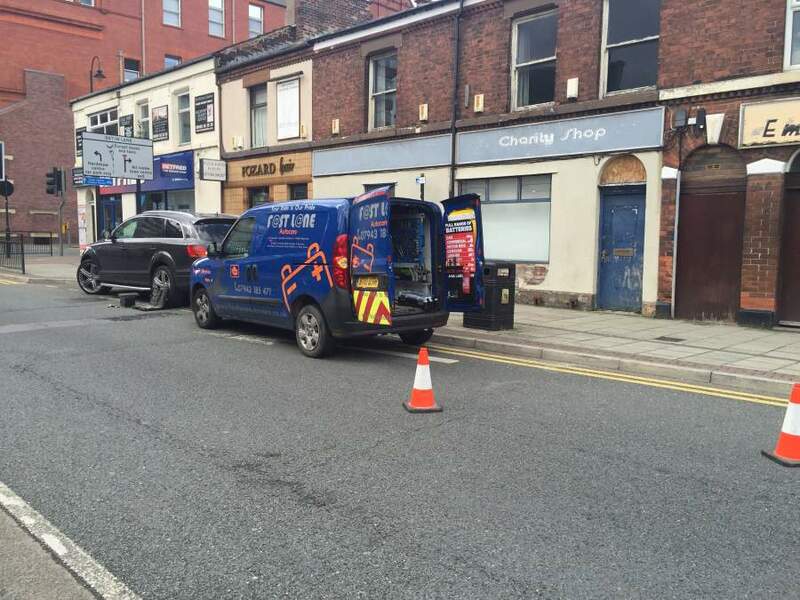 In fact, any location in the North West where you need assistance with your vehicle, we are ready to help! Give a member of our dedicated 24/7 Fastlane Fast Fit Service team a call!